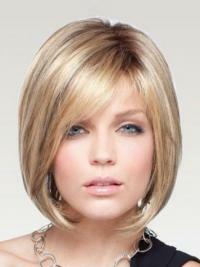 Monofilament wigs, unlike most wigs, are not made with cloth, but with a polyester or nylon material. It is into this material that the hairs are sewn. Monofilament wigs are a great choice for anyone, but they are specially formulated for women with chemotherapy or cancer related hair loss. These high quality wigs are also ideal for women with alopecia, trichotillomania and other conditions that cause hair loss. The construction of our monofilament wigs gives the look of real hair growing from the scalp, for the most natural looking wigs available. Visit our vivhair.co.uk for more helpful tips and advice. We have specially curated these high quality wigs for women with hair loss, but anyone will enjoy these natural looking hairpieces. Visit our website and you are sure to find your favorite colour and style among the endless monofilament wig collections!